Here’s an amazing photo from last night’s thunder storm in San Francisco. 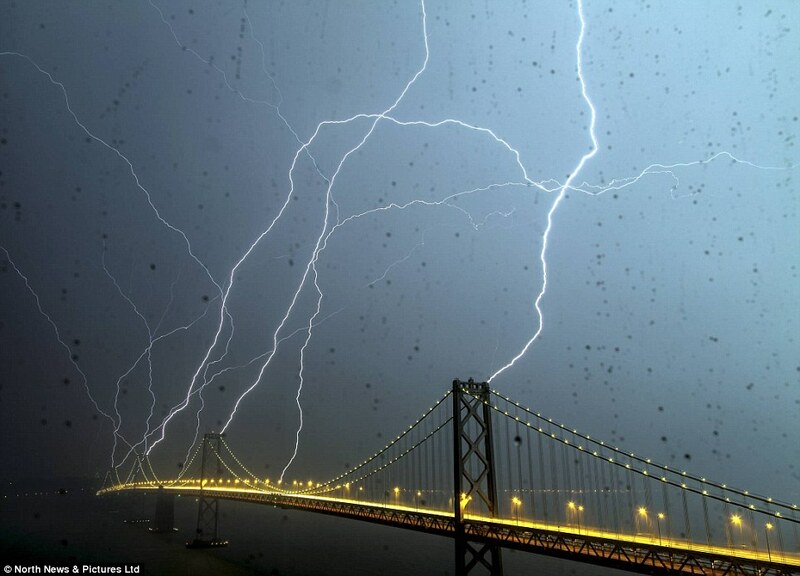 Photographer Phil McGrew captured 8 bolts of lightning that struck the Bay Bridge at the same time! YES! This is a REAL photo!! Very great photo !!! Good job ! !